Supreme's 2009 Fall/Winter collection is once again on point. One of the stand outs, aside from the beanie collection, is Supreme's minimally branded effort featuring a black, red and blue colorway. 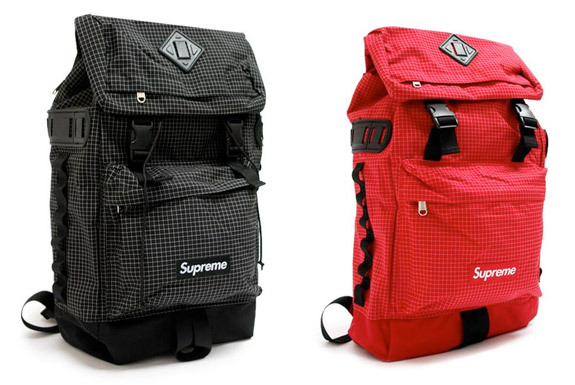 The 500 Denier ripstop bag features top entry access with cargo pocket and is available now for $136 at Supreme.